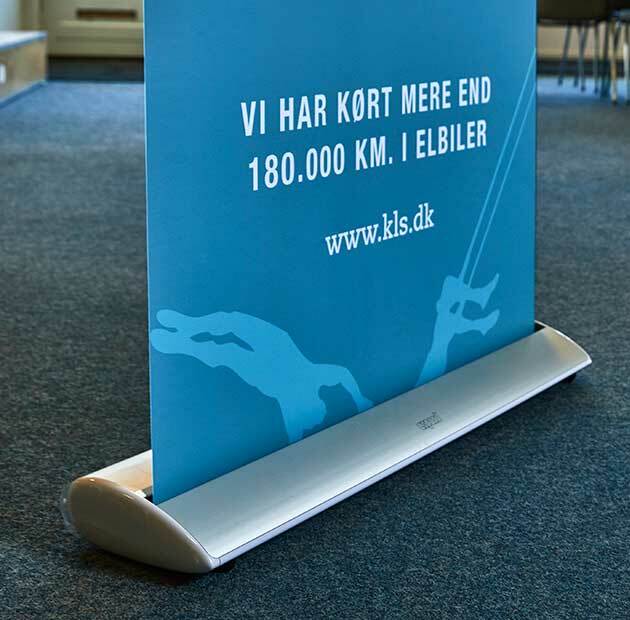 When participating at a trade show, you need to easily and elegantly getting your message across, for example by using a roll-up. But often, they are used only once. Even though the banner is replaceable, it is often replaced and the old one thrown out. At KLS PurePrint, we believe in a circular way of thinking, and therefore we would like to help you change that pattern. Rent your roll-up from us. When you are finished with it, you send it back to KLS PurePrint in its carrying case, and when you need a new roll-up with new content, we simply ship it to you. Once we receive your old roll-up, we can repurpose the banner into other useful and unique products for you to use as gifts for your customers or employees. That way you recycle material that would otherwise be thrown out and instead make new high quality products. Examples include bags, key chains, totes or toilet bags. Awnings or other banners may likewise be repurposed. We produced the following products from old banners and roll-ups.